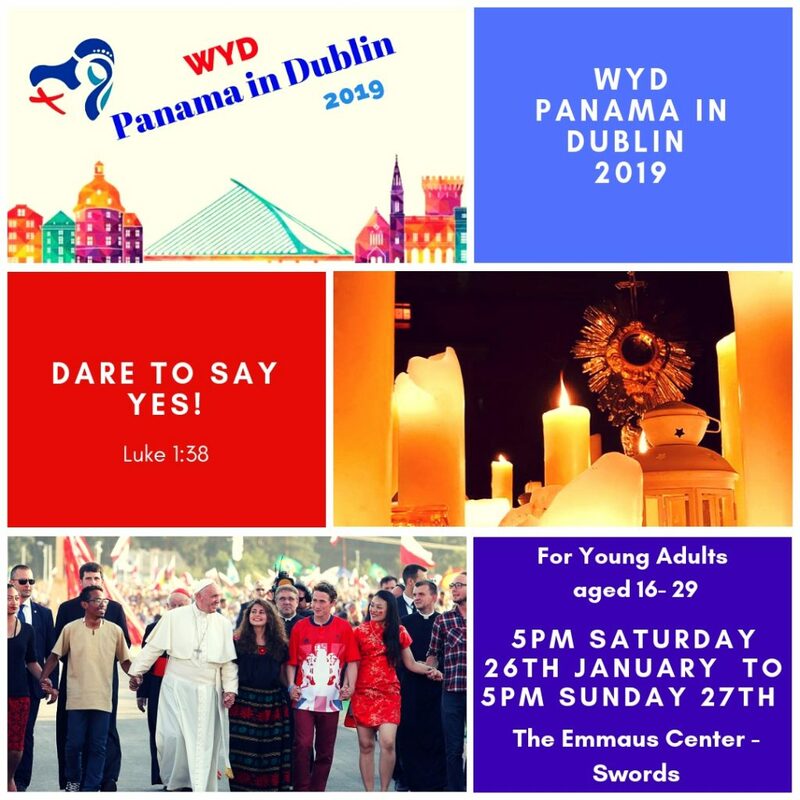 This year a group of 30 young people from Dublin Diocese going to Panama to celebrate World Youth Day with Pope Francis and thousands of others from around the globe on 26th/ 27th January. 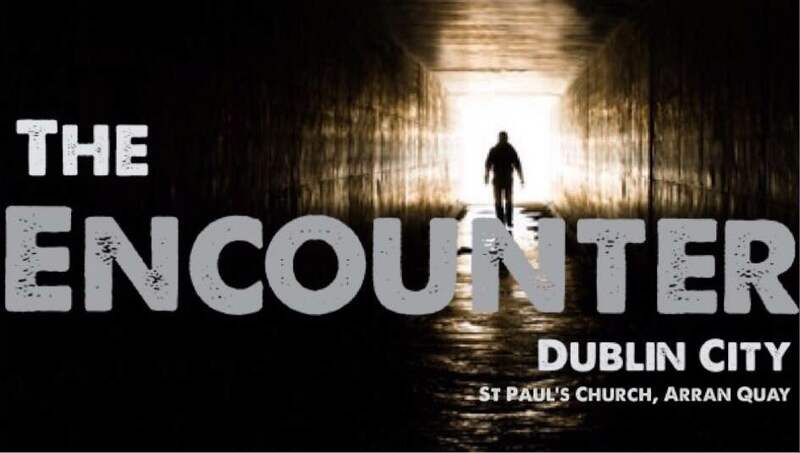 A mirror event, Panama in Dublin will take place in Emmaus Retreat Centre Swords on the same weekend. 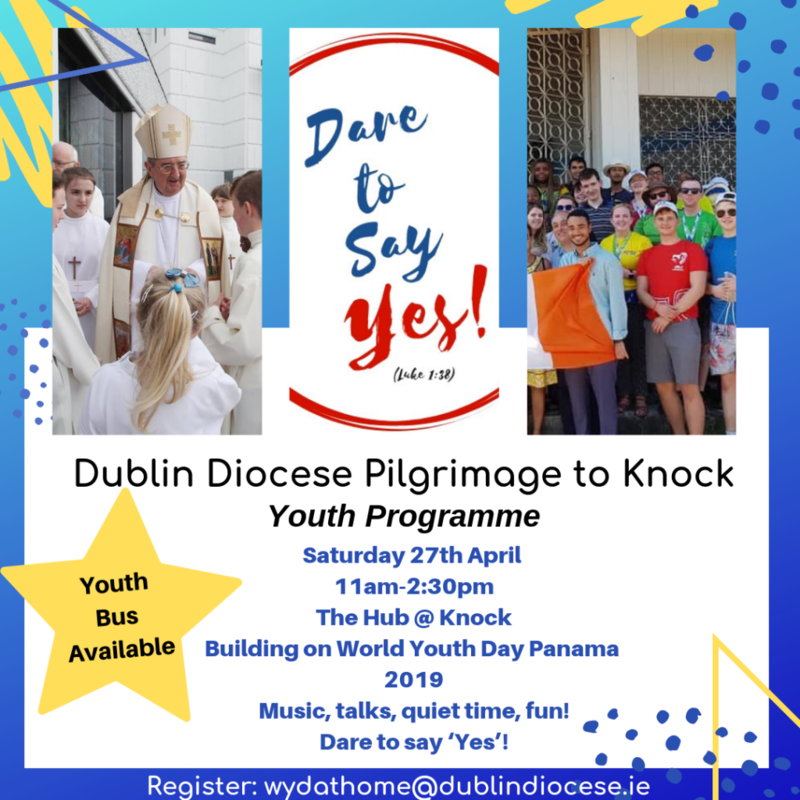 An overnight event Panama in Dublin will link in live to Pope Francis' addresses at the Welcome ceremony , Vigil and closing Mass. 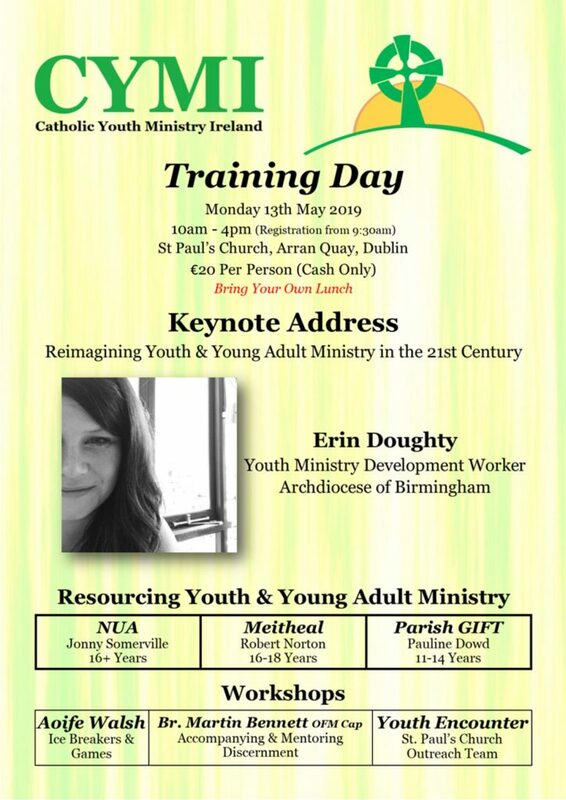 There will be a wide range of events in Emmaus and opportunities for young people to connect and develop their faith, with people involved youth ministry from all over Ireland leading these sessions. 40 trained volunteers will also be helping facilitate this unique experience. 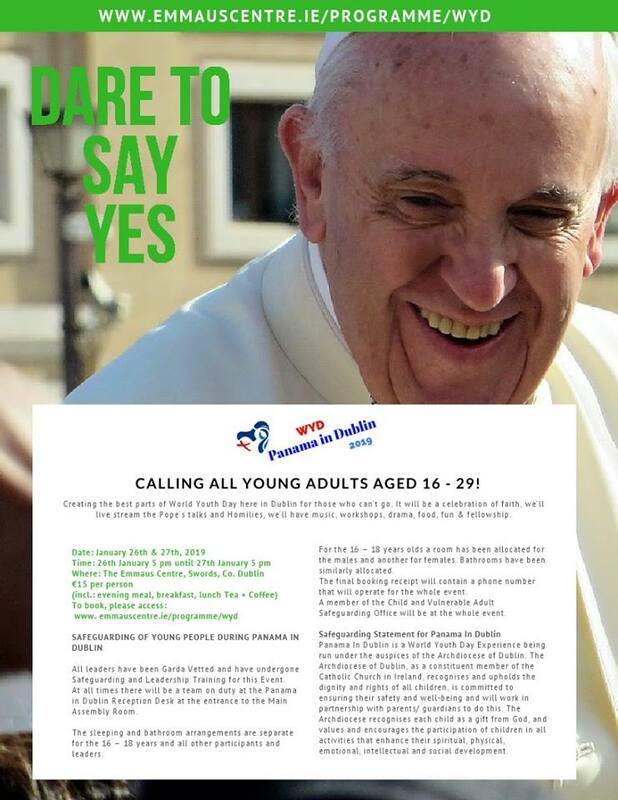 · Any young person between the ages of 16 and 29. 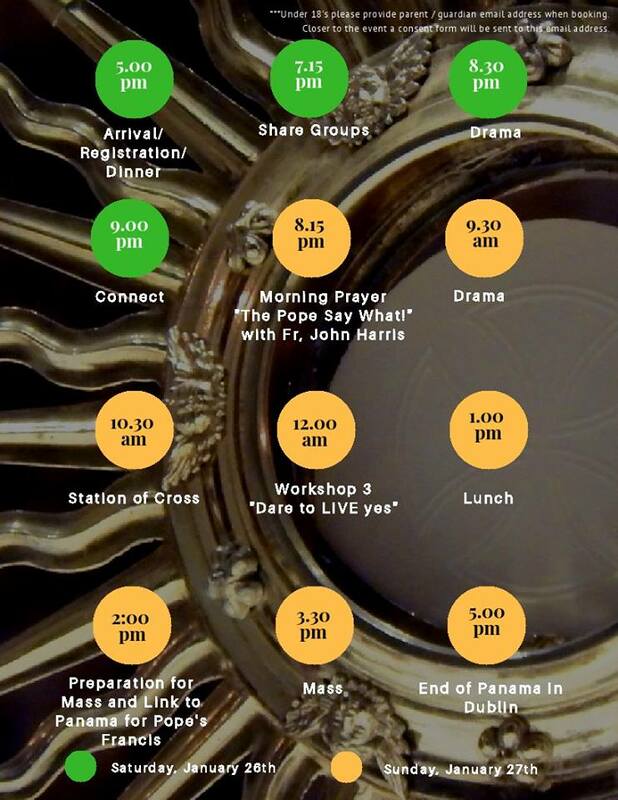 · Those who participate in various ministries in your Parish. 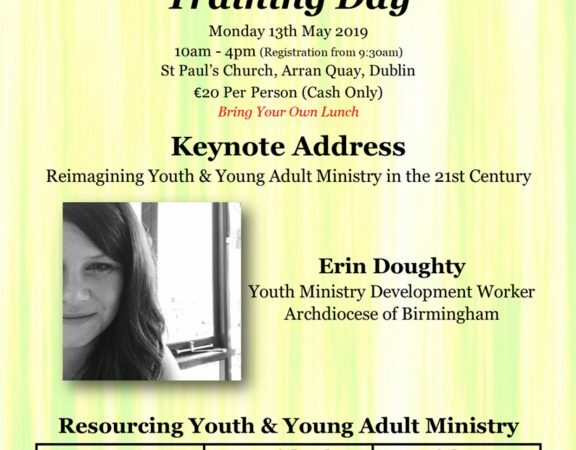 · Those who have attended previous World Youth Days. 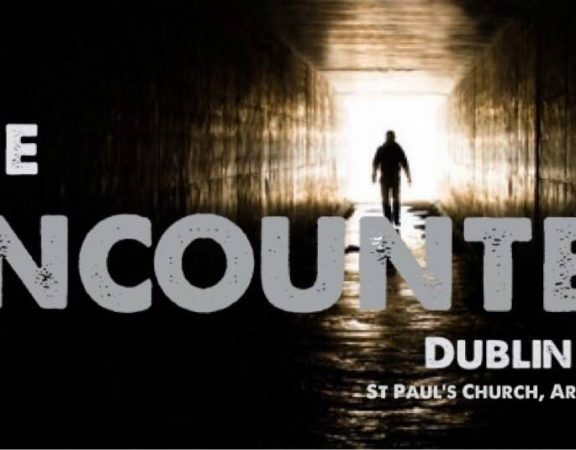 · Those who have worked on pilgrimages to Lourdes, outreach programmes in Africa/India. · Groups from schools as a good beginning to Catholic Schools Week. 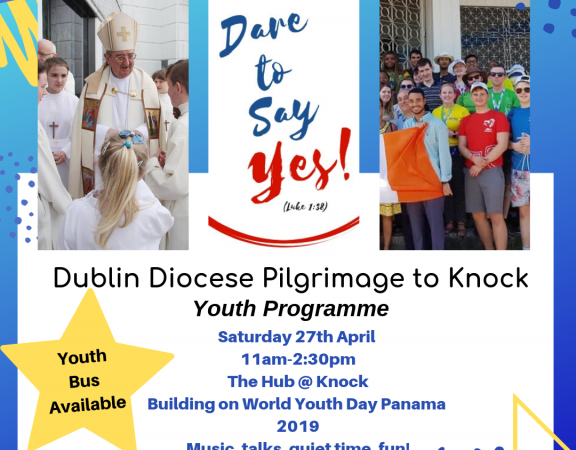 Booking is done directly with Emmaus at www.emmaus.ie and click in Upcoming Events "Panama In Dublin"
It promises to be a great weekend so we encourage you to spread the message and encourage you to get involved.